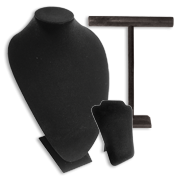 Shop our huge selection of economy velvet jewelry displays! 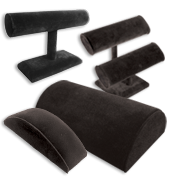 Style your collections with these faux velvet pieces, available for every type of jewelry: from earrings, chains, pendants & necklaces to rings & bracelets. 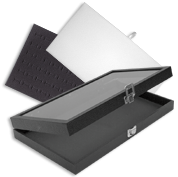 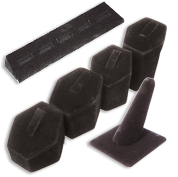 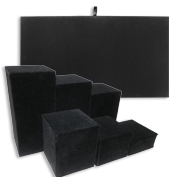 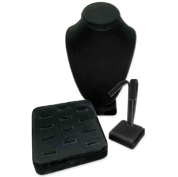 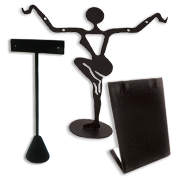 Discover black velvet stands, inserts, trays, T-bars, busts, pads & more, all at discount prices thanks to our wholesale deals.